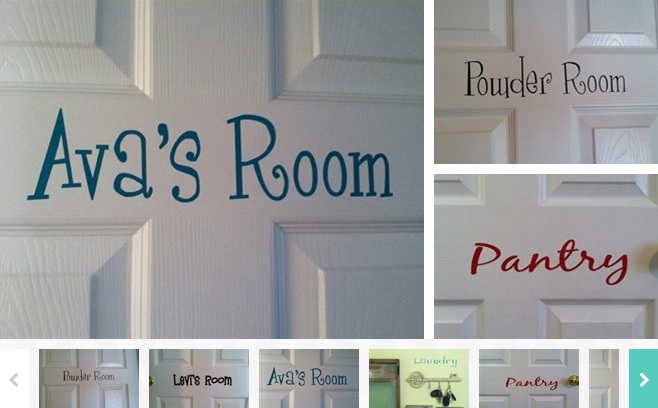 Personalized Door Vinyls Just $4.99 (Reg. $9.99)! You are here: Home / Great Deals / Personalized Door Vinyls Just $4.99 (Reg. $9.99)! Spruce up your decor with these super cute Personalized Door Vinyls, which happen to be on sale right now for just $4.99 (Reg. $9.99)! And shipping starts at just $2.99! Not a bad deal for less than $10 shipped!